A new Motorola phone with model number XT1965 has appeared on TENAA. Past reports have revealed that the XT1965 is the model number of the upcoming Moto G7 smartphone. The exact listing on TENAA mentions the phone as XT1965-6 where “6” appears to be the number for the Chinese variant of the Moto G7. The Moto XT1965-6 measures 156.9 x 75.3 x 8.2mm and it weighs 176 grams. The smartphone is fitted with a 6.24-inch display that supports full HD+ resolution of 1080 x 2270 pixels. The Motorola Moto XT1965-6 smartphone will be equipped with an octa-core processor that will include 1.8 GHz quad-core CPU and 1.6 GHz quad-core CPU. It will be hitting the Chinese market in two models such as 64 GB storage + 4 GB RAM and 128 GB storage + 6 GB RAM. For more storage, the smartphone will be sporting a microSD card slot. The smartphone will be running on Android 9 Pie OS that will deliver near stock experience. It will be drawing power from a 3,000mAh capacity battery. However, the TENAA listing mentions it as 2,820mAh battery. For capturing selfies, it has a front camera of 5-megapixel. The handset could be equipped with a dual camera setup on its rear. However, the TENAA listing only mentions the rear camera configuration as 8-megapixel. The Motorola XT1965-6 will be equipped with a fingerprint scanner. It will be releasing in China in colors like blue, red, black, purple, gray, gold, silver and white. However, all the color variants of the phone may not be available simultaneously at launch. The name of the upcoming Motorola XT-1965-6 phone can be identified based on the reports that have surfaced in the recent past. 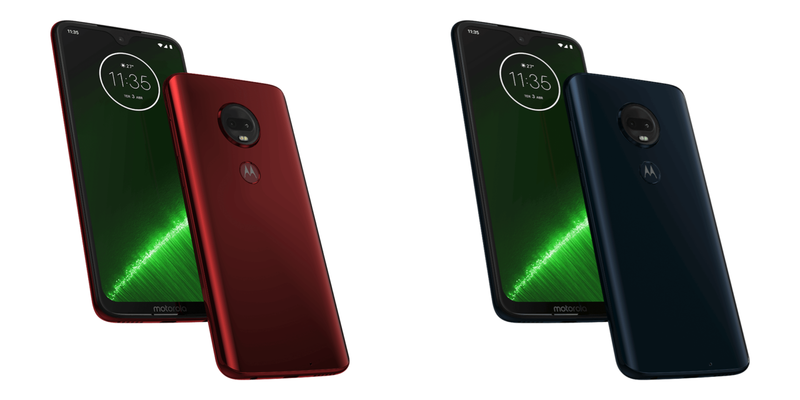 The upcoming Moto G7 series includes four smartphones such as Moto G7, Moto G7 Plus, Moto G7 Play and Moto G7 Power. The Play and Power smartphones are expected to support wider notch displays compared to the G7 and G7 Plus models. Also, the G7 Play and Power phones are expected to support HD+ resolution whereas the G7 and G7 Plus are rumored to deliver full HD+ resolution. Hence, the XT1965-6 could either be the Moto G7 or G7 Plus phone with waterdrop-style notch screen. The other specs of the XT1965-6 suggests that it could be the Moto G7 Plus smartphone. Even the dimensions leak of the G7 Plus is almost as the information that has surfaced on the TENAA listing of XT1965-6. The Snapdragon 632 will be powered by the Moto G7 whereas the G7 Plus could be fueled by Snapdragon 636. The camera details of the XT1965-6 do not match with the leaked camera specs of G7 and G7 Plus smartphones. Rumors have it that the Moto G7 will feature 12-megapixel + 5-megapixel rear-facing dual camera setup and 8-megapixel front camera whereas the G7 Plus will be coming with 16-megapixel + 5-megapixel rear-mounted dual camera module and 12-megapixel front camera. Hence, it is advisable to wait for further reports to confirm the identity of the XT1965-6 that is heading to China. Motorola will be holding a launch event on Feb. 7 in Brazil. 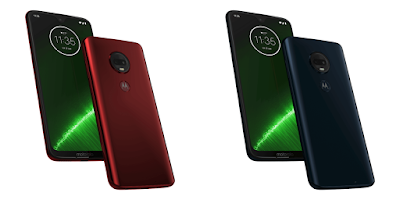 Since the Moto G series of smartphones are very popular in Brazil, the Lenovo-owned company is likely to debut the Moto G7 series through the upcoming unveil event.